An estimated 400,000 flowering plant species exist in the world, and, understandably, it can be difficult to keep track. The vast majority of us can only recognize and name a handful of plants, even if we would like it to be otherwise. If you would like to sharpen your knowledge in the wonderful realm of plant species, I have some good news for you. Like everything else: there’s an app for that! 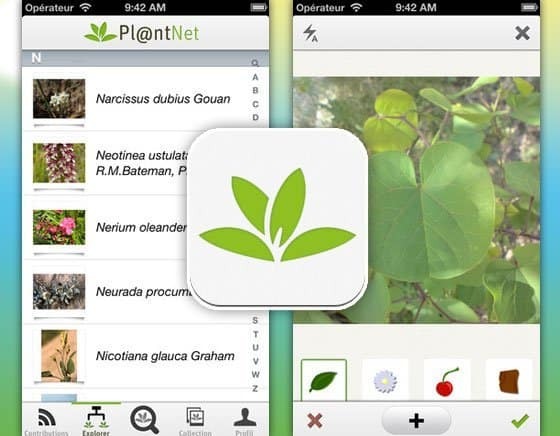 If you ever walk by a specific plant that you would like to identify, or you have extensive knowledge about plant species that you would like to share, then the PlantNet app is for you. Available for iPhone and Android devices, it is essentially the Shazam for plants. It’s pretty awesome to consider what technology is capable of these days. The app works by collecting data from a large social network which uploads pictures and information about plants. Scientists from four French research organizations including Cirad, IRA, Inria/IRD, and the Tela Botanica Network developed the app. The app features visualization software which recognizes many plant species, provided they have been illustrated well enough in the botanical reference base. PlantNet currently works on more than 4,100 species of wild flora of the French territory, and the species list is provided through the application. The number of species included and images used by the application grows as more users contribute. While only a small percentage of plant species can be identified so far, the more users who join, and the more participants from different countries become involved, the more diverse this app will become. So if this is something that interests you, get the app and start contributing today. While at the moment it doesn’t focus on edibles, this app lays the frame work for herb collecting and identifying plants in nature that could either be dangerous to you or that you would love to learn more about. The average person these days is enjoying a greater appreciation for nature this app can help them outfit their home and living space with plants they love. In the future, an edible database could help foragers pick from the wild spread nature has to offer. Not only are wild sources of plants and herbs cleaner and free of pesticides, but they also can be picked fresher and be more nutritious. At the same time, this app is inevitably going to get people out in nature more as now they can walk about trails and nature with a keen curiosity to learn more about what’s around them. Next Post Can Your Mind Receive the Same Benefits When You Use Psychedelics and Meditation?